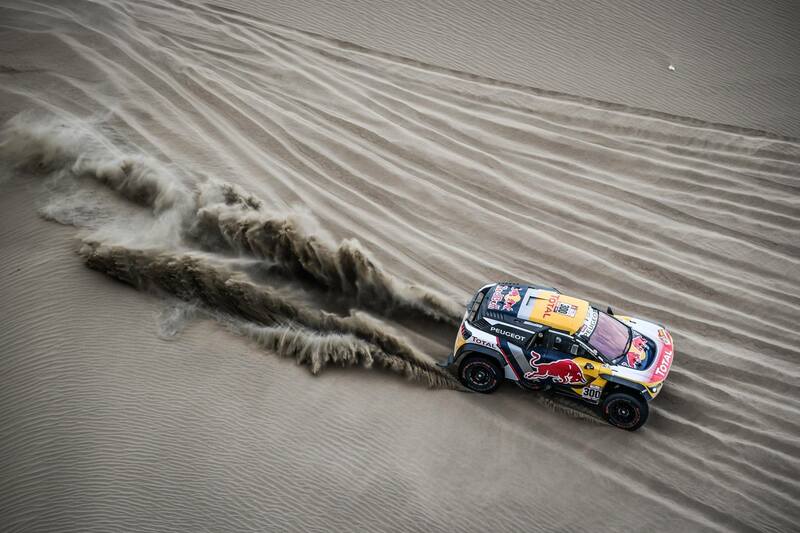 Dakar is the most important and difficult rally in the world. Organization is really important, and it must assure medical coverage in 3 nations, in the heart of the wilderness. How does it works medical assistance? 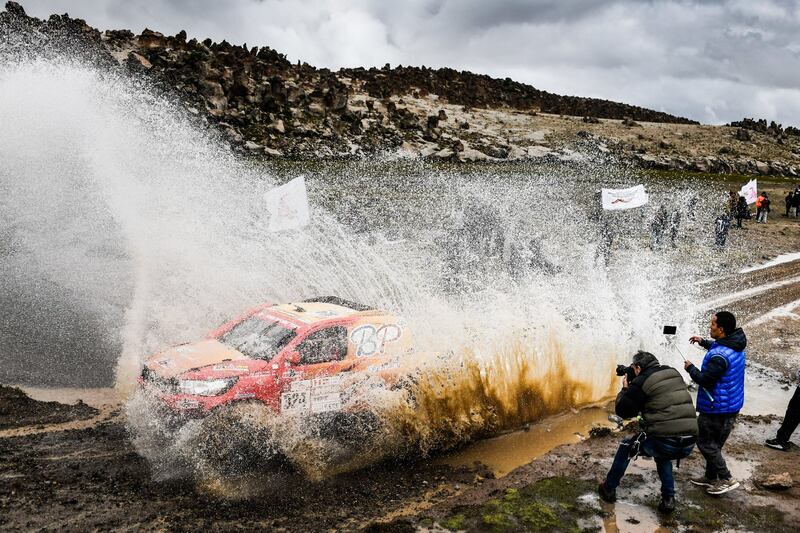 Dakar rally is organized by ASO (Amaury Sport Organisation). ASO is the company that owns, designs and organises the Dakar rally since years. They are specialised in the ‘non-stadia’ events, like rallyes or cycling race (like the Tour de France). Knowledge, preparation and dedication are the main features to realize a 6.500 km event. And ASO has a team realized by one of the most appreciated french doctors in the race sector. 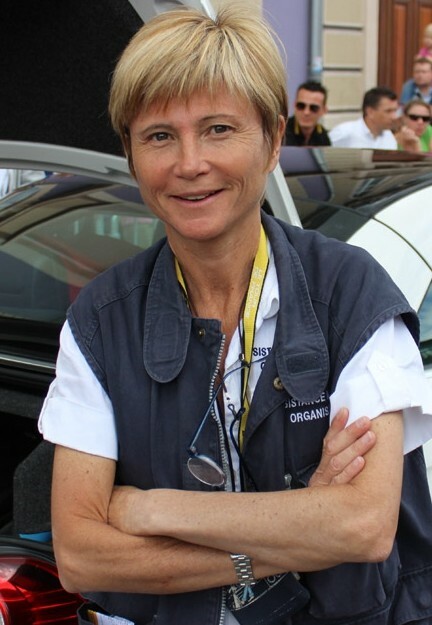 Dakar is a fantastic experience also because they assure an extreme quality of the medical response, thanks to the experience of dr. Florence Pommerie, a very experienced medical director which agrees for the Dakar since 2006. Her career start in the french pre-hospital service, the SAMU93, but dr. Pommerie is also the Grand-Boucle medical director since 2010. Dr. Pommerie during the Dakar is Chief of a 63 people crew who’s committed to rescue drivers and people during the race. What kind of professionals are part of the rescue team? The Dakar medical team is separated in two: one team of 26 peoples stay at the bivouac hospital (two surgeons, two radiologists, one anesthesiologist, four accident and emergency doctors, a few physios, anesthesiologist nurses and some logisticians). A second team is composed by 10 vehicles 4×4 (Tango) with two accident and emergency doctors on board, from three to five medical helicopters, three sweeper with a doctor on board and a medical plane completely equipped to ensure a medical evacuation. 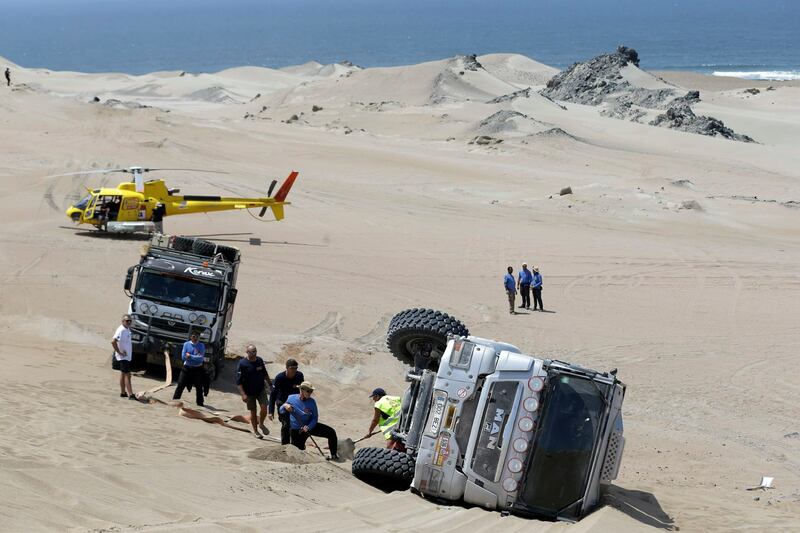 There is some specific training for facing the Dakar experience? “No. The crew don’t need a specific training because they’re already professionals and it’s their daily job”. The experience that a physician acquires from studies in emergencies and the daily shift in an out-of-hospital service is a fundamental bases, refined by years of experience. Having a crew composed simply by emergency doctors is the best way to ensure a quality service in quickness. 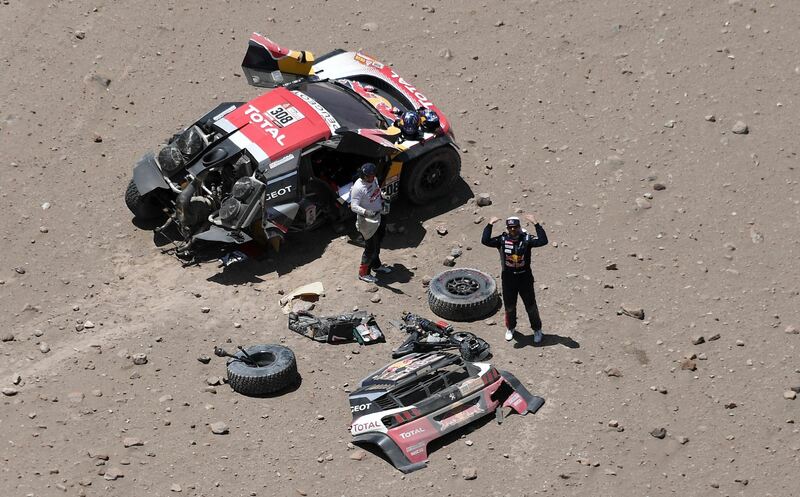 Dakar is organized for carring on site intervention, and also a perfect primary healthcare position organized as a little Hospital: surgery, RX rooms, ECO room and physios have to face – as usual during a motor competition – the main problems who are linked with trauma and stress. It’s interesting to know what kind of equipment there must be in every rescue unit that operate during the Dakar. There is something special that you use and that you want to note? Our team operate with the international standards, so we are equipped with spinal board, monitor unit, defibrillator, rescue unit and intensive care unit (ICU). Usually we have from three to four medical helicopters involved for HEMS operations. But we don’t have to face only traumatic disease. Heat stroke and cardiovascular disease are other important problems to face with. During the activity, do you contact or involve the local emergency team like bombeiros or Red Cross, or you prefere to have a private service selected by your own? Yes, we always contact and involve local emergency teams. Moreover, before the rally we do a reco on site visiting all the local medical facilities in order to be sure that we have everything we need when the stage comes. We always ask for a scanner and a secure recovery unit. Another fundamental part of the Dakar in medical treatment is about communication: during the Rally there are people from all around the world talking languages very different. Specialist in the equipe coming from France, Italy, England, Japan, Russia, Argentina, Chile, Peru among others. The Dakar is also most important for that: a so stress-related experience help professionals in taking care under a big amount of pressure. 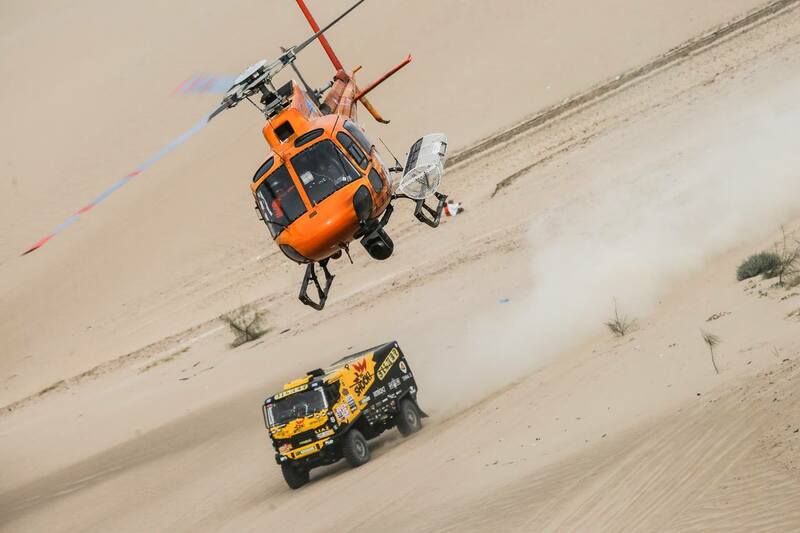 Dakar is the first organization who realize a special communication system which allows participants to send a GPS alert, to start rescue activity. Pilots have the possibility to set a simplified triage, with a blue, a yellow allert or a red allert, in case of extremely hard medical conditions. The blue button is for a direct intercom with the medical staff. The yellow button is for alerting the headquarter that another competitor is in non-critical situation. The Red one is for serious condition. That it means an immediate fly for the first HEMS crew able to take off. Iritrack directly link the medical direction, the on-route medical staff and the French headquarter. Also if the vehicle did not send position or show an unusual stop, start the communication and open a dispatch for sending a crew. The mainly reason that make dr. Pommerie so special and appreciated by the pilots is that she can assure a urban response time during a 6500km wilderness race. The average of an intervention is around twenty minutes. And the evacuation time is similar, because there is not only the primary field hospital, but also specialized hospitals nearly the track. 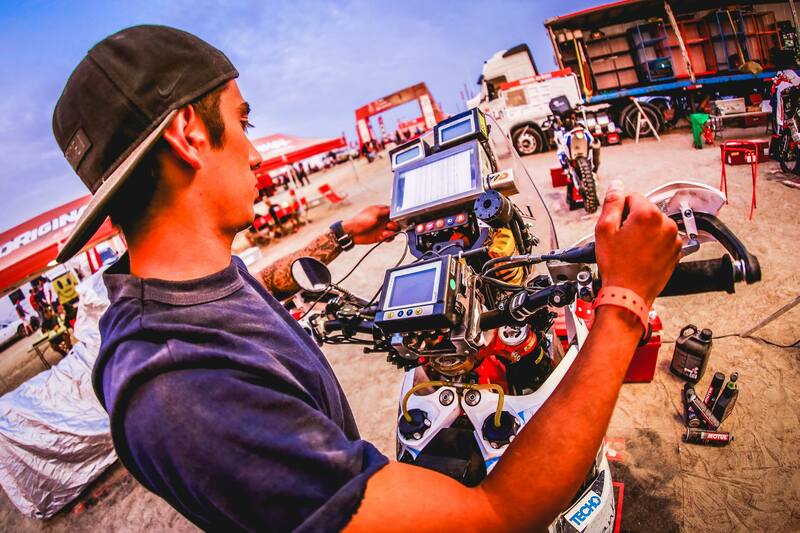 This are the mainly information about the Dakar Medical System, wich have not to face normal activity, and… normal people! taking care of a rider or a driver is not easy. Online there are tons of legends and history, but some of them are really impressive. 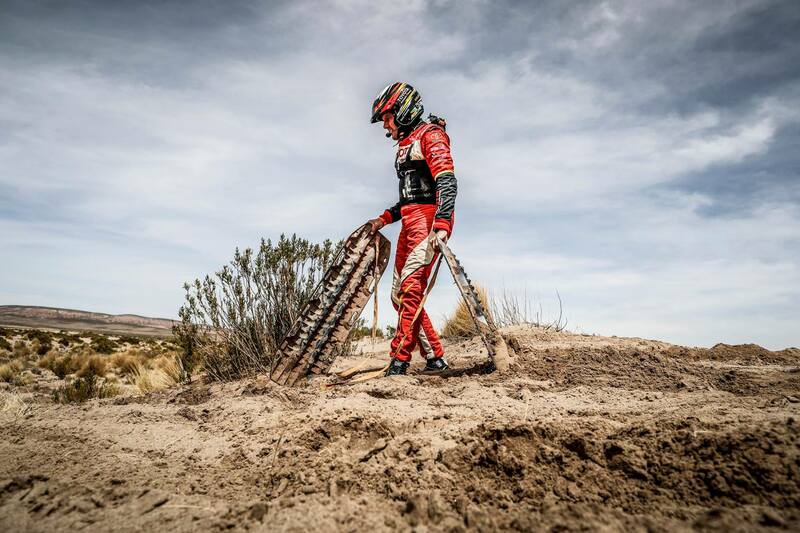 For example in the “Zero to Sixty: A Dakar Adventure” from David Mills, you could read about the rider XY who go on in the race for three days with a “sore wrist” before going to the medical centre. He goes asking a better stabilization for his wrist, because he fixed it with a plastic coke bottle, for continue the race, and it doesn’t work well. Obviously the medical direction did not allow the rider to go on, and he have to withdraw. Who dare to partecipate in this incredible adventure know that there are professionals with competence, passion and experience. They know what to do in every situation and are ablo to make racer able to do what they want: finishing the Dakar, a goal not for everybody.